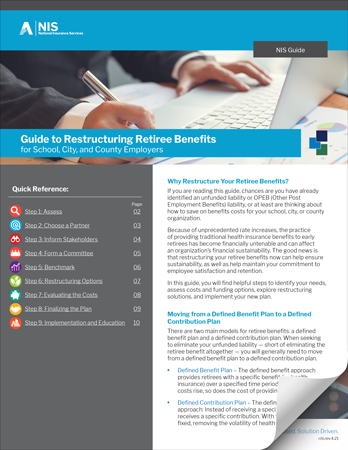 Download our guide to learn how restructuring retiree benefits can help Public sector employers like you! More and more public sector employers are finding the practice of providing traditional health insurance benefits to early retirees financially untenable in the long run. This can affect your organization’s financial sustainability. Our guide will take you step-by-step through the process used by many public sector organizations.